HomePeter's blogsWill You Inherit YHVH God’s Kingdom? So wait a minute – what is Yeshua (Jesus) saying to his disciples in this passage? Who are the people He speaks of who are blessed by His Father (and ours)? And what did He mean two verses earlier when King Messiah Yeshua said that He will “…separate the sheep from the goats” (Matt 25:32)? In verses 35-36, Yeshua goes on to say: “For I was hungry and you gave me food, I was thirsty and you gave me drink, I was a stranger and you welcomed me, I was naked and you clothed me, I was sick and you visited me, I was in prison and you came to me”. Ps 37:22 – For those blessed by Him shall inherit the earth, but those cursed by Him shall be cut off. Isa 58:7 – Is it not to share your bread with the hungry, and that you bring to your house the poor who are cast out; when you see the naked, that you cover them, and not hide yourself from your own flesh? 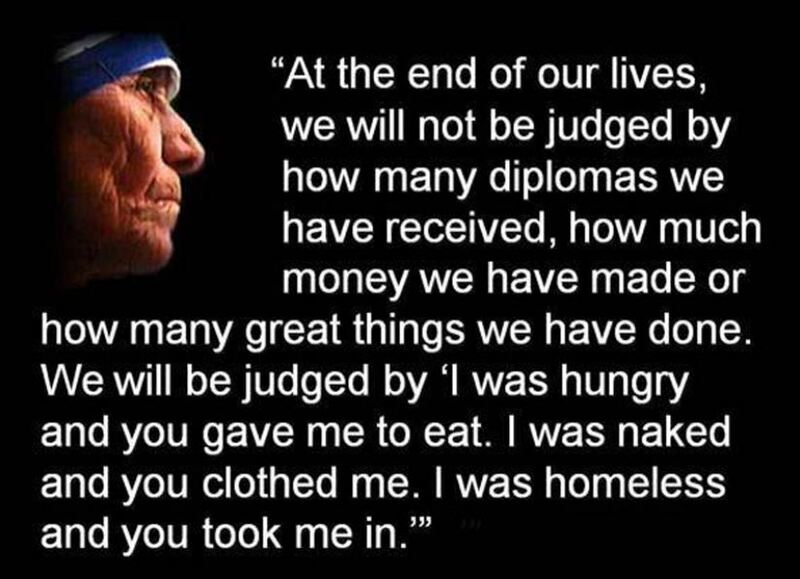 Eze 18:7 – …but have given their bread to the hungry and covered the naked with clothing. These verses seem disjointed and not directly related to Yeshua’s words in His Olivet discourse, until you look at the full context surrounding these verses. You might wonder, for instance, why YHVH would be judging between sheep and sheep. Let’s look at the passage in Ezekiel 34 preceding Verse 17. YHVH had just been speaking (through Isaiah) about how He would judge the false shepherds who were mistreating the flock and leading them into pagan practices (vv. 7-10). Then in Verses 11-16 He speaks of seeking out His sheep and bringing them back from all the nations of the world where they have been scattered, so that He can bring them to a place of comfort and peace: “they shall lie down in a good fold and feed in rich pasture” (Eze 34:15). Then in Verse 16 He says: “I will seek what was lost and bring back what was driven away, bind up the broken and strengthen what was sick; but I will destroy the fat and the strong, and feed them in judgment.” Abba is promising here to take care of His obedient sheep; those who were led astray by the false shepherds but now desire to follow the true Shepherd. But He will judge those sheep who are continuing to follow the way of the false shepherds and are not willing to trust in YHVH and follow His way. So how do we recognize someone who is following YHVH’s path and trusting Him with their whole heart? According to Isaiah 58, Matthew 7 and other passages, we will know them by their fruit (see Matt 7:20). It is clear that in Matthew 25:35-36, Yeshua is referring back to the words YHVH was speaking to His people through Yeshayahu (Isaiah) In Isaiah 58:7. In the Isaiah passage, YHVH was instructing His children that it was far more important to Him that they care for the poor and needy, than that they follow their religious rituals. If you have a true relationship with YHVH, though, as your closest friend and trusted counselor, then He will show you where He wants you to help His children. Most likely He will start you off with something small, for example, working at a local soup kitchen, visiting shut-ins or elderly people in nursing homes, helping needy widows with small tasks around their homes, or a host of other things. Abba will not only point you to the places He wants you to help, but He will give you all the gifts you need for the task, however great or small. Go to Abba and ask Him what is on His heart; when you seek Him with your whole heart, you will find what is in His heart. Previous PostALL or nothingNext PostKings or Servants? I think the blog is well said. At the end of the day. Or our lives. It doesn’t matter how much money we had made. What momentary things we owned. How big our house was. Or how many cars we owned. The lord is going to see if we worked to build his kingdom. If we loved our fellow man. If we helped those in need. Yes I think that this is something that Christian’s would want and should read.